PRIVATE ENVIRONMENTAL NGO, WORKING TO PROTECT ANDEAN MOUNTS AND WETLANDS. Since its foundation in 2010, Foundation Montecito has given a significant ammount of work in preserving and protecting wetland Lake Tota, main and biggest lake of Colombia located in the province of Sugamuxi, a work that is driven through the environmental cause called Causa Tota (causatota.net) born in Dec-2011. Actions have included certain campaigns and demands before the Government for the Lago de Tota to be designated as a Ramsar site or a wetland of international importance, which would bring great support for local tourism and the wise use of that unique wetland. 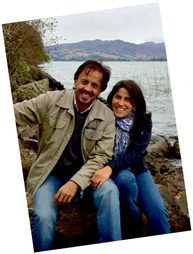 Foundation Montecito was founded in Sogamoso by Felipe Velasco and Juanita Arango.